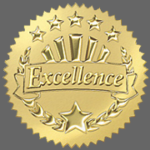 We are extremely pleased and honored to announce that we won the Service Excellence Award! Congrats to all of the nominee’s and winners…many amazing and very deserving businesses. We are so honored to have been nominated for two Business Excellence awards via the Greater Langley Chamber of Commerce, Celebration of Excellence! Thank you so much to whomever nominated us for the Service Excellence and Business of the Year awards. Stay tuned…the awards are on October 23rd. See the Chamber website for further details or to get tickets to this great event.